The Total Gym Press Trainer is a commercial shoulder press machine that introduces an entirely new way to do a shoulder press. The Press Trainer places users in an inverted position, unloading the lower back and reducing spinal compression. Seven adjustable levels allow users to select a percentage of their own bodyweight as resistance, while the unique closed chain design reduces shoulder impingement that users typically feel using traditional shoulder press gym equipment and stabilizes the shoulder girdle for safe and effective upper body strengthening. Users are also provided with a mechanism for performing a decline push-up. Seven incline levels allow users to progress from pulling as little as 15 percent of their own bodyweight up to 50 percent. Inverted position stabilizes shoulder girdle and reduces spinal compression and shoulder impingement. 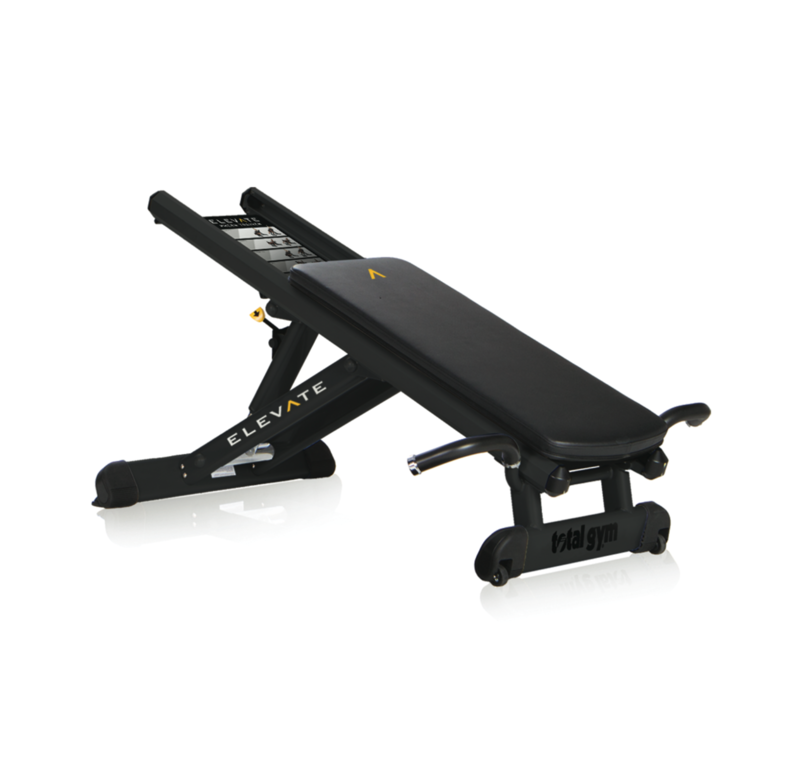 Adjustable incline design allows for partial bodyweight shoulder press and decline push-ups. Seven incline levels allow users to progress from pressing as little as 15 percent of their own bodyweight up to 50 percent. Steel and aluminum construction provides long-lasting durability. Includes link to exercise library with additional and advanced exercise options. Warranties outside the US may vary. Contact your local authorized distributor for details. © 2019 Ethics Leisure. All Rights Reserved.